Bryan introduces us to Rosé just in time for Valentine’s Day! Video by Geena Pietromonaco. The most memorable cuvées we imported last year. 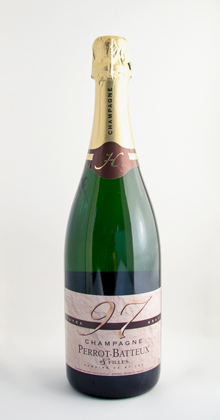 All of the Champagne we import is phenomenal and each cuvée stands out for a different reason. That’s why I love hand-selecting for every FC Club Member! I will never be able to settle on a favorite cuvée and I adore all of our producers. But, there were a few Champagnes that were very memorable for me last year and I thought all y’all might want to know who made my 2014 Dean’s List! When Cynthia Perrot’s father came up from the family caves smiling and holding unlabeled, chalk-covered bottles, we had reason to be excited. He said the bottles were a 50/50 blend from the 1995 and 1996 vintages and they were certainly 100% Chardonnay. He blended these bottles and stashed them away in 1997, so we’re calling it Cuvée 97. Aged supremely in bottle for 16+ years, and just recently disgorged, it has developed extraordinary character and we asked it to be finished and corked as is, with zero dosage. Laureen Baillette continues to excel with every cuvée she creates, but her Brut Nature delights with a fantastic balance of age and freshness every time we open a bottle. It’s a pure representation of Pinot Noir coming from old vines in the Montagne de Reims and aged for years in the bottle. We’ve imported it since day one at Fat Cork, and every time we call on it, we’re impressed! We always knew Adrien Redon was taking over primary winemaking responsibilities of his father’s Champagne Pascal Redon, but he absolutely stunned us on a recent visit when he proudly revealed four new cuvées bearing his own Adrien Redon labels. He had been working on these cuvées since 2008 but never said a word. When asked why, he said, “I didn’t want to showcase until they were entirely ready”. 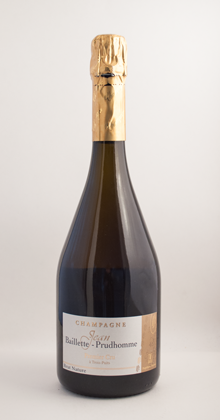 A true artist, Adrien’s cuvées are transparent and made with his own style. They’re all excellent, but this cuvée impressed me the most. It’s 50% Chardonnay and 50% Pinot Noir. It’s balance is incredible. 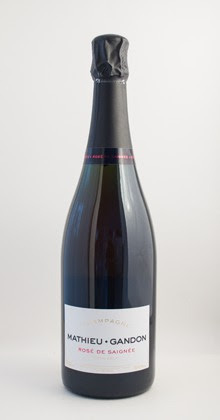 Many Pinot Meunier-dominant cuvées can be somewhat simple, with their straight-forward fruit and short(ish) finish. Fabien Mathieu agrees, and that is why this 100% Pinot Meunier Rosé Saignée is only made with 60+ year old vines in a very special family vineyard that produces Pinot Meunier grapes with structure and length. To keep the acidity fresh and lively, he finishes this beautiful Rosé with very little dosage and inhibits malolactic fermentation. Bright on the tongue, with an abundance of red fruit flavors, this Rosé allows the purity of the Pinot Meunier grape shine. P.S. This is one cuvée that would make a splash in a vintage coupe! Cecile Grongnet certainly grows much more Chardonnay than Pinot Noir and Pinot Meunier, but she wanted to showcase the uniqueness of these dark-skinned grapes grown in the Southwest corner of the Côte des Blancs region. 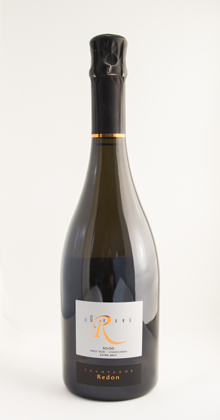 Unlike the Blanc de Noirs coming from the Montagne de Reims region, this cuvée has the citrus fruit associated with Chardonnay along with fun, tropical fruit flavors not usually found in Champagne. It’s a 50/50 blend of Pinot Noir and Pinot Meunier, and though Cecile has very little of these grapes available, she crafts a small lot of Blanc de Noirs every year she can. Spring has sprung and English Peas are back in season! Try out this simple recipe that combines peas with Créme Fraiche and bacon for a perfect Spring side dish that would pair wonderfully with a bold Champagne. 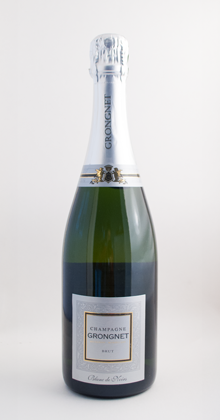 We’d recommend Hervy Quenardel Brut Prestige Grand Cru. Cheers!